You can do it with a help of a program which is called Dexpot. Go and download Dexpot which is actually a program for virtual desktops. 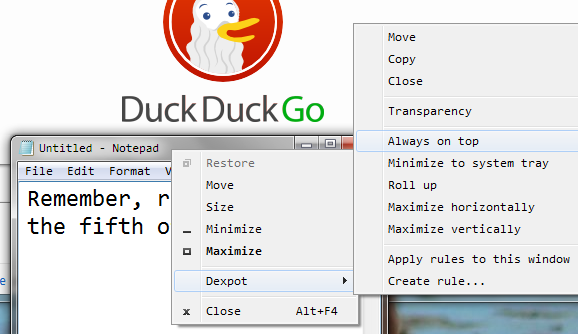 After you downloaded the program right click on a window, select Dexpot and choose always on top. There is also a option to make a window transparent.